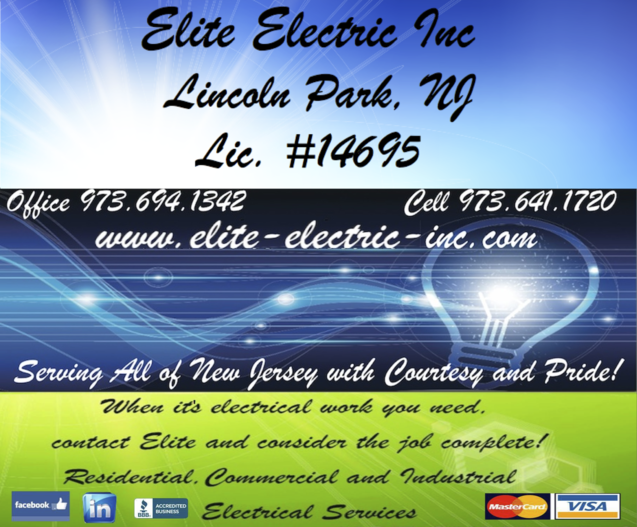 Elite Electric Inc. offers a wide variety of lighting design and installation, from high bay for industrial and commercial applications to recessed lighting throughout your home or office, to installing a wall sconces and stair lights for accent lighting. Under cabinet lighting is a wonderful way to accent any kitchen! Sight lighting for parking lots to help insure both customers and employees safety after nightfall. Security lighting around offices and residences can help reduce the risk of a break in! Light up your property, don't give anyone up to no good any help! Use motion sensors, to not only surprise any would be burglar but, draw attention to your property if there is a problem. A light coming on at night will draw the eye of anyone in the area! Burglars know this and would prefer to avoid well lit areas. If you need help designing a lighting layout for any project call Elite. and consider the job complete!